SIX! @Krisbritt23 caps a great over for us. Oh no, @rachelpriest13 departs for a well made 41 (39). 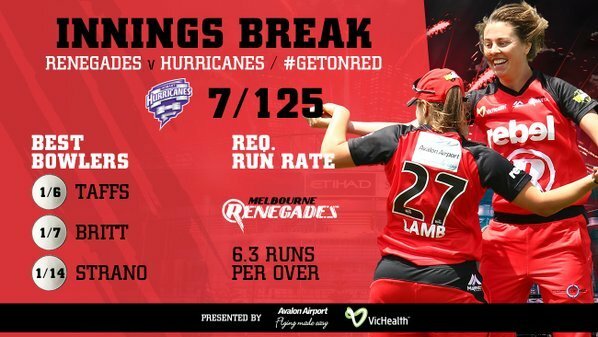 We've gone up a gear, 21 off the last two overs.
.@rachelpriest13 (18* off 20) anchoring the innings well so far. Wyatt's fast innings (14 off 7) comes to an end. 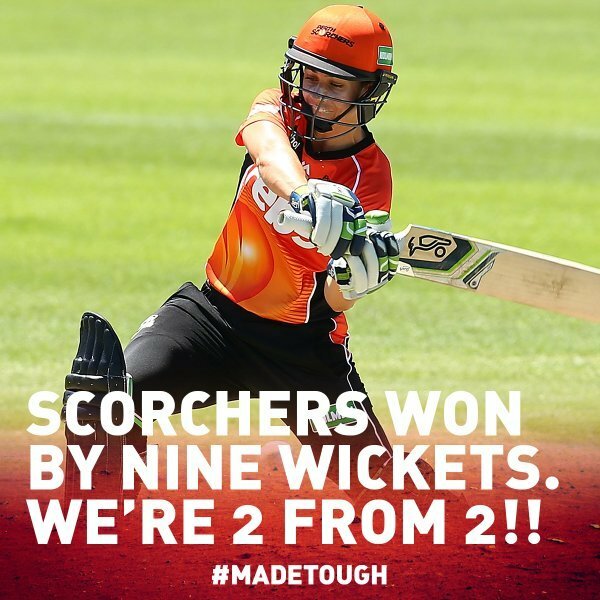 The @ScorchersWBBL secure an emphatic nine-wicket win over the @SixersWBBL in Perth.
.@Danni_Wyatt making an immediate impact with 10 from her first five deliveries. 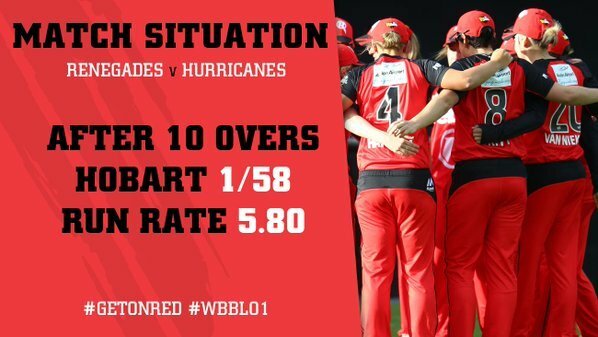 We'll be chasing slightly more than last night, Hobart finishing on 7/125.
.@MollyStrano with a well deserved wicket, only conceded 14 runs off three overs. 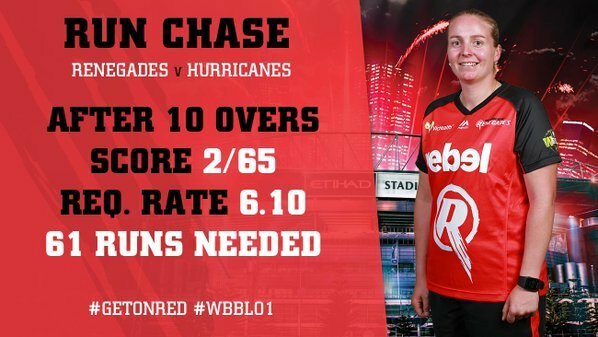 Four wickets in the last six overs for us - @danevn81 joins in with her first of the afternoon. 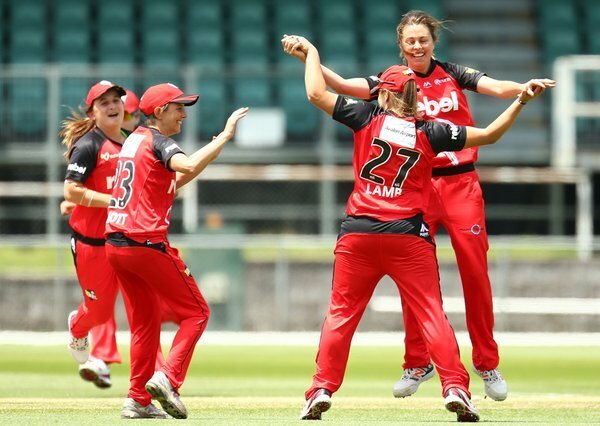 Our second run out of the innings as @rachelpriest13 throws down the stumps. Now our NINTH bowler picks up a wicket!